Julian Eaves take a look at Zoo Nation’s Sylvia which has been showcased as a work in progress at the Old Vic Theatre. This extraordinary, astonishing, ambitious and beautiful new musical breaks new ground in virtually all departments in this initial showing of a work-in-progress version at Matthew Warchus’ amazing Old Vic Theatre in Waterloo. And, bear this in mind: it is hardly credible, but the team behind it has had barely a year to put it all together since the theatre commissioned it. Rarely have we seen such a phenomenon on the British musical stage. Those lucky audiences who found their way into its brief 3-week run at The Cut will feel honored to have got in on something so wonderful at such an early stage. It’s going away for a year to be re-written and polished, and then it will be back as a fully finished production. 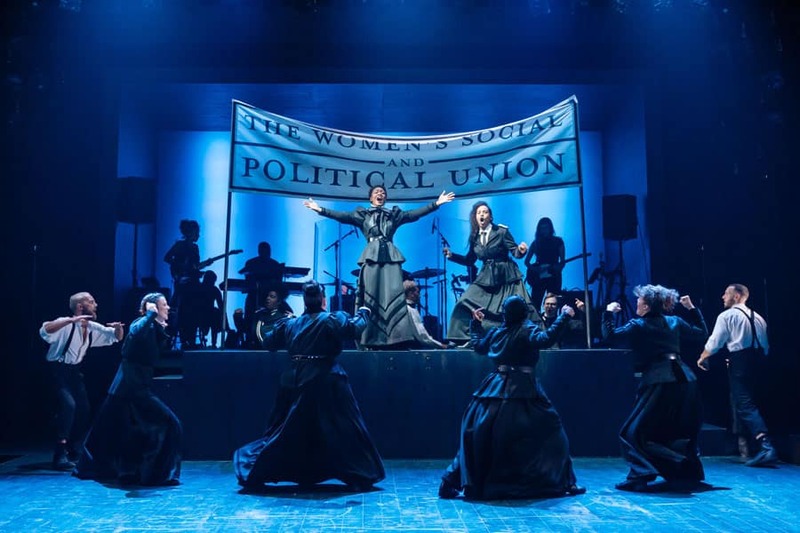 Originally intended as a dance piece by Kate Prince and her Zoo Nation dance troupe to celebrate the centenary of Sylvia Pankhurst (and the rest of them) winning the first vote for many women in this country, this show has now grown into a wonderfully epic exploration of so much more. Working with novelist and dramaturg Priya Parmar, Prince draws into the story a massive cast of characters, from prime ministers and party leaders to groups of working class women in the East End and dozens of others, here brought to the stage by an A-List cast of 16. Two other regular collaborators of hers, composers Josh Cohen and DJ Walde, have created a breath-taking score, with vocal arrangements and supervision by Michael Henry, and played by musical director and on-stage band leader, Josh ‘MckNasty’ Mckenzie – international heavyweights – and for this Prince herself creates most of the lucid and gratefully written lyrics (a role she shares with the composers, in addition to contributing some additional music). Not stopping there, she directs with aplomb and fluency and also choreographs with a sublime attention to detail and a frankly genius sense of ensemble, motion, pace and dazzling showmanship. Yes, really. An incredible handful of a work-load, and the results are awesome. I was lucky enough to see the show twice during its run in Waterloo, and I’m very glad I did so. It is so boldly daring, so radically fresh and brilliantly original, a single viewing – especially when one has become habituated to the conventions of ‘West End’ tradition – is hardly sufficient to grasp its sheer inventiveness and ambition. Cohen and Walde’s score is gifted with melody and drama, abundant in driving, restless rhythms, and awash with a positively cinemascopic breadth. It is equally capable of speaking to our minds, hearts and souls: it REALLY merits repeated hearing to appreciate better its many levels. I very much liked Prince and Zoo Nation’s ‘Into The Hoods’ a couple of years ago, a splendidly rambling, rather chaotically wonderful revue of contemporary tropes. But the memory of that show scarcely prepared me for the startling exactness and rightness of the swirling, electric, razor-sharp gestures and phrases that punctuate the surging forward impulse of this score. Her work seems shot through with adrenalin and dopamine; when you watch her dancers move, you feel what they feel. It is intoxicating. As with all workshops, designer Ben Stones has had a shoestring budget to play with, but he sketches in a framework of period detail with some simple outfits and a cool selection of props. A spectre is haunting musical theatre – the spectre of ‘Hamilton’. All the powers of old musical theatre have entered into a holy alliance to worship at the shrine of this spirit. And so proves to be the case with this work. It clearly builds on the precedent established by that extraordinary achievement in looking into the past with brazenly contemporary eyes – and means, but it goes further. A lot further. The imaginative roots of this work actually seem not to lie in the mainstream legacy of musical theatre at all, but to rest in the more ancient and rather more British history of epic theatre and oratorio. Instead of following a single, or paired, destiny of a lead character or two, we get something much more surprising. The structure of the piece is a kind of abstract ‘layering’ of events, an almost classical piecing together of great, essentially self-contained and static ‘moments’ from a grand narrative, frozen into independent artistic utterances that – cumulatively – have a profound effect upon the audience. So, the concert-like, gig-like modus of the show makes complete theatrical sense. Not only are we saturated in the latest soul, hip-hop or funk sounds from the ace, top quality 5-piece band on stage (guitars, Linda Burrato, Sonia Konate ; bass guitar, Joe ‘Joey’ Grant; drums and leader, Mckenzie, with Adrian J Moore on keys), but we get a cast radically different – especially in its ethnic origins – from the figures in history who they represent. Central to this pantheon is the goddess that is Beverley Knight. She is a star of undisputed international wonder and we are lucky to have her here, illuminating every moment she sings with incredibly lovely sounds, and she can act, too, powering through the life of Emmeline Pankhurst with mind-blowing attention to nuance and subtlety of inflection, all expressed with a disarming naturalness and ease that places her, as an actor and singe,r at the very peak of her profession. Knight is surrounded by a cast of comparable musical majesty. 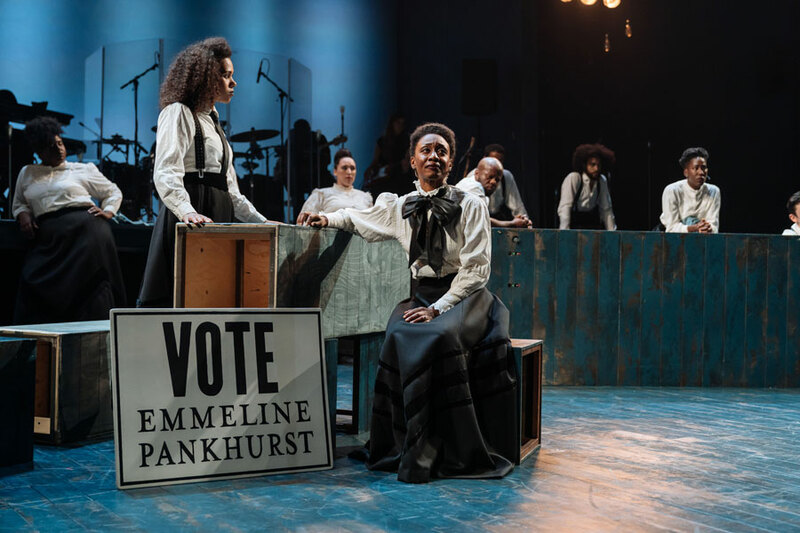 Genesis Lynea may have had to drop out of the cast as daughter Sylvia Pankhurst, whose dysfunctional relationship with her mum, Emmeline, lies at the centre of the show, but we are blessed in her replacement, Maria Omakinwa, who commands an alternative viewpoint with elegant passion. There is also Whitney White as Christabel Pankhurst, offering us yet another view of the world within the same fascinating microcosm of a family. And then Karl Queensborough plays brother Harry Pankhurst, among other parts, with still another approach. Then, the loyal followers: Elliotte Williams-N’Dure is a powerhouse of vocal supremacy in her numbers as Flora ‘The General’ Drummond: a kind of Dreamgirl come to justice. Tachia Newall is one of many actors called upon to play several well demarcated roles. And there’s more. The increasingly splendid Izuka Hoyle is here, continuing her relentless climb up the billboards with her magnetic stage presence and phenomenal sassiness, and let us also recognise Jade Hackett’s barnstorming turn as Lady Jennie Churchill: just watch her work the room! And then there’s Delroy Atkinson, who is togged up as Winston Churchill, managing to be both menacing and funny. We see the parallels with ‘Hamilton’s revisionism. All these actors so far are of African or mixed heritage, one way or another, and it is remarkable casting, showing that British musical theatre is picking up the baton of Lin Manuel-Miranda’s modernisations with gusto. Then there are the other actors. Verity Blyth acquits herself well in the Pankhurst fold, playing honest-to-goodness sister Adela, and Carly Bawden is a poised and steely voiced Clementine Churchill in yet another of the script’s fascinating sub-strata. 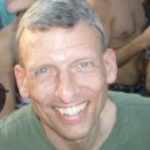 Jay Marshall is the dance captain – and another follower, Ada. John Dagleish makes an affectingly complex and modern lothario out of Keir Hardie, Todd Holdsworth is H G Wells and – ultimately – the surprisingly warm and caring presence of Sylvia’s life-mate, Silvio Corio. Ross Sands gets to be GBS and the last of the Pankhursts, Richard. The blokes also get together to play collective villainous mobs of policemen and so on, and the staging of the beating up of the women’s protest march is one of the truly devastating theatrical events in a packed production: you feel every moment of it, and all the more so for the miraculous technical skill with which it is constructed out of various narrative strands that are cleverly tied together in an emotionally unforgettable conclusion to the first half. To hear Beverley’s voice soaring over the massed voices of the ensemble and the terrifying roaring and grinding of the orchestra (they are at this moment nothing less than that) is one of the most powerful things I have ever experienced in a theatre. Furthermore, the lighting in this show achieves a super sense of epic scale: it comes from Natasha Chivers – another great talent on the team. The sound department is blazingly clear and full-bodied and is the work of Clement Rawling: he makes those five on-stage instruments pound out their music like a symphony band. Magic. And when all of that combines with the sensational voices working together, the result is pure heaven. On balance? The show is one of the best things to have come along in a long, long time. We can’t give stars to a work-in-progress, but we can tell you to keep watching out for the finished product. It will be something to remember forever.